"Her decision was irreversible. She would not continue living a life by others' rules. To see his deep sapphire blue eyes and feel the calm of his voice again were the only things that mattered now. With him she finally felt ready to write her own history." Celebration of the most rare, precious and unexpected ingredients. 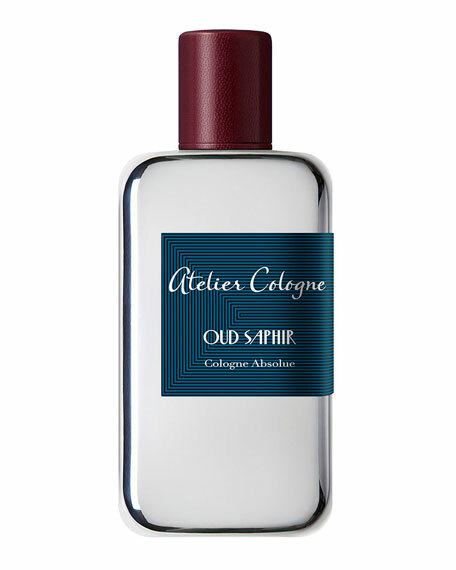 Davana, iris, immortelle, sandalwood and oud are magnified in the Cologne Absolue style. These creations are presented in genuine precious metallized bottles.